What is RAOKA and How can “you” be a part of this Life altering Team? The RAOKA mission seeks to remind us that Random Acts of Kick Arse happen all around us—and also to spread the spirit. Each month, us RAOKA team core members vote on a new theme based on your submissions. On the first Wednesday of each month (US time zone) we invite everyone to post about what they have observed, passed along, or created. During the first ten days of the month, contact me with your theme ideas for the next month. I’m the Caretaker& Loving Keeper of The RAOKA Crusade with my core team mates Gayze, M, Joy, Suzie and me . -Propose a theme by contacting me the first ten days of the month or simply follow along with our monthly themes and spread the Random Acts of Kick Arse! -Write a post/article about what you have been up to and publish it on the first Wednesday of each month. If you would like a reminder emailed to you each month or would like more information, please contact me. If you don’t have a blog, you’re welcome to play along in the comments. 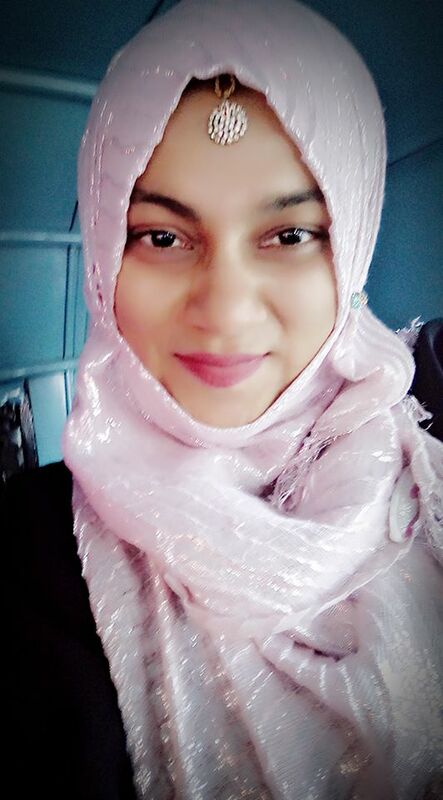 -When you see my RAOKA post published, add your details in the Comments below including the URL address of your own RAOKA post and the title of your blog. I will then create a link to your post for others to see what kind of Beautiful Random Acts you’ve been up to. Also, Let your readers know that they can contact me anytime if they would like to be part of RAOKA too. -I would love love love to have you on board The more the merrier! Type RAOKA in the search or click RAOKA in the tags on the sidebar to read all the RAOKA posts on this blog. 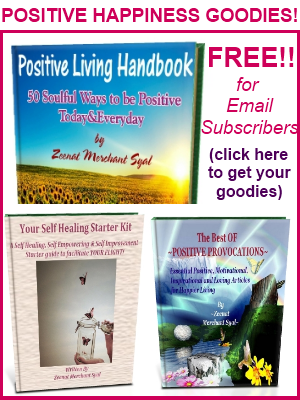 Me i.e Zeenat Merchant Syal – I’m the founder and writer of Positive Provocations – Healing YOU completely with Positivity, Love & Happiness! I hold degrees in, and practice counseling psychology, motivational psychology, spiritual counseling, motivational speaking, holistic health and naturopathic medicine. Am a spiritual traveler by passion, an eternal student and researcher in the school of life and all of its realities, including the fields of metaphysics and New Age thinking. Joy from Unfolding your path to joy – I am the hostess of the blog “Unfolding Your Path to Joy”; it is my pleasure to share energy in my peace filled space. I am a woman who believes that love is always the answer–no exception. I use love and gratitude as my navigational tools to a magical harbor of peace. I choose to live life fully..creating each moment, embracing the gifts of nature, opening my heart to faith and my arms wide to Universal Flow. I love to laugh, explore, dance, play my djembe drum, travel, and celebrate the myriad heart connections in my life. This world is absolutely magical and beauty filled and it is an honor to experience all that I am blessed with. I am an empath who guides others through the process of “unfolding” using many resources, including writing shared through my blog, motivational speaking, and personal clarity sessions and I am a contributing author to the book “What I Wish for You: Simple Wisdom for a Happy Life”. and I am learning to fully embrace this as I am embracing the spiritual journey that I live as a parent, as a woman, as a human… one step at a time; one breath at a time. Suzie Cheel from suziecheel.com -aka Abundance Queen has a passion to make a difference in the world and loves to take people from stuck to stardom. Suzie had done this in her many roles as an artist, businesswoman, inspirational author and a certified Law of Attraction, facilitator, trainer and coach.Suzie has been a teacher, a trainer and had a successful textile art business and has a Masters Degree in Social Ecology. She coaches and is committed to empowering the people she calls Change Warriors in Hiding. These are people who have a desire to create change in the world, but are held back by fear and self doubt and she takes them from stuck to stardom. Suzie has recently launched The Change Warrior Project This fuels her desire to make a positive difference in the world and to create a ripple effect of positive change. Suzie wrote her book Emergings -a Meditation on the Emotions of Change, at a time of great change in her life. Suzie lives in what she calls paradise on the Gold Coast of Australia and online.